Flood Insurance - Harmon Dennis Bradshaw, Inc.
Spring showers may bring May flowers, but it also leaves buildings at risk for flood damage. 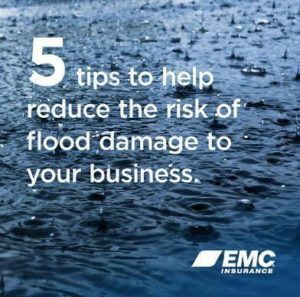 Read the 5 tips in the link below to help reduce flood damage to your business building. Then, be sure to contact any of our staff to discuss the weather insurance HDB can provide to you. Click the photo below to read more.